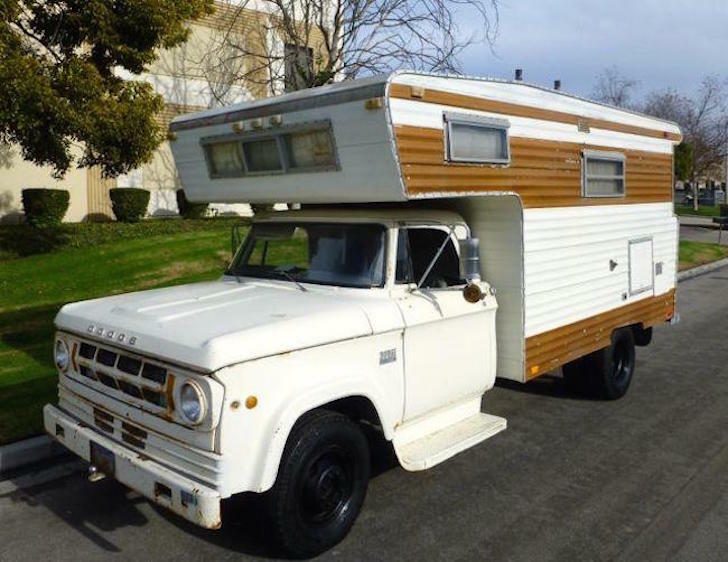 The Last Remaining 1969 Dodge Sweptline D300 Camper? 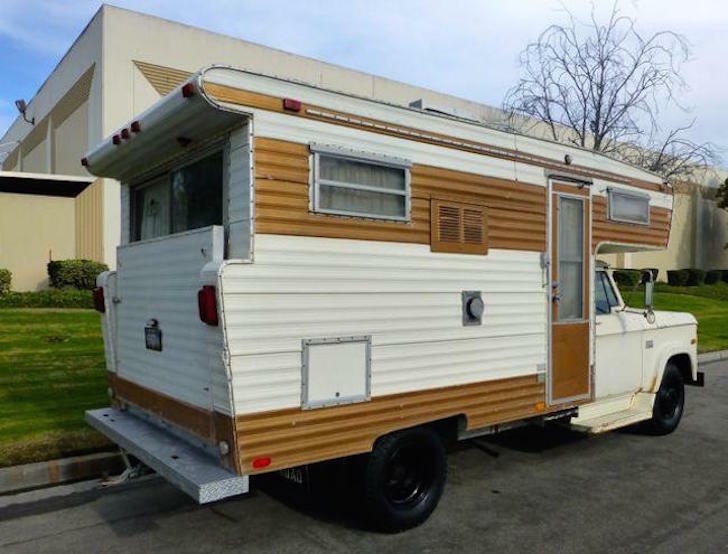 It's just an old truck camper you say? 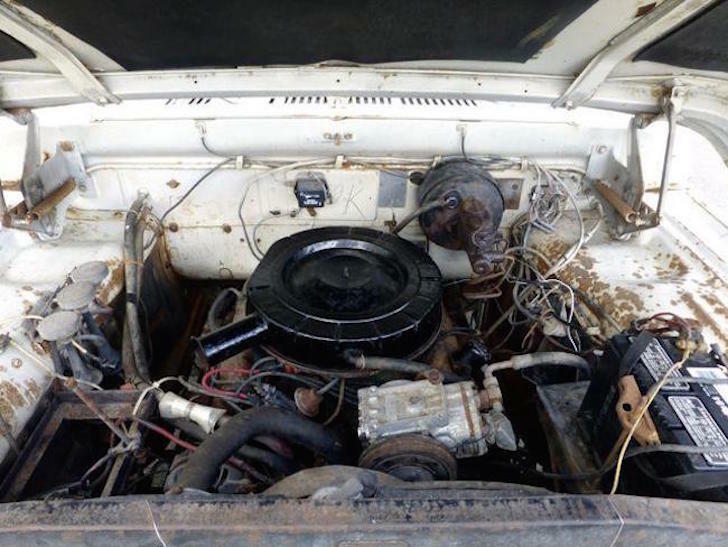 Well, this Dodge D300 Sweptline hides an unbelievably awesome - and useful - feature. 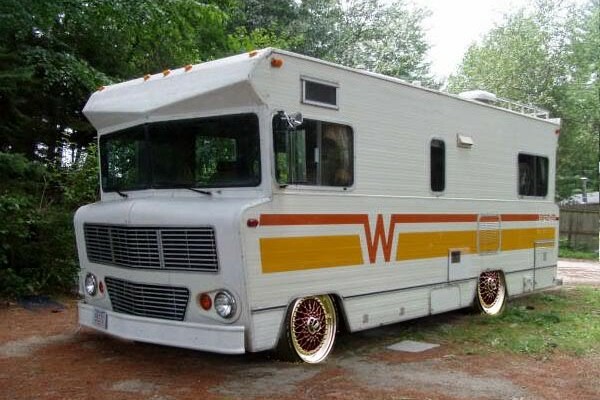 If you go back to the beginnings of RVing (well maybe modern RVing) truck campers reigned supreme. It seems natural. You’ve got a truck, you want a way to add a small living area, a place where you could lay down flat, a sink, kitchen, etc. 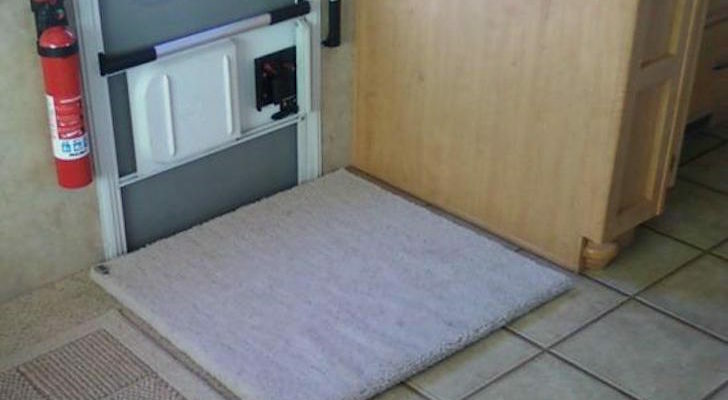 Why not just add something in the bed? 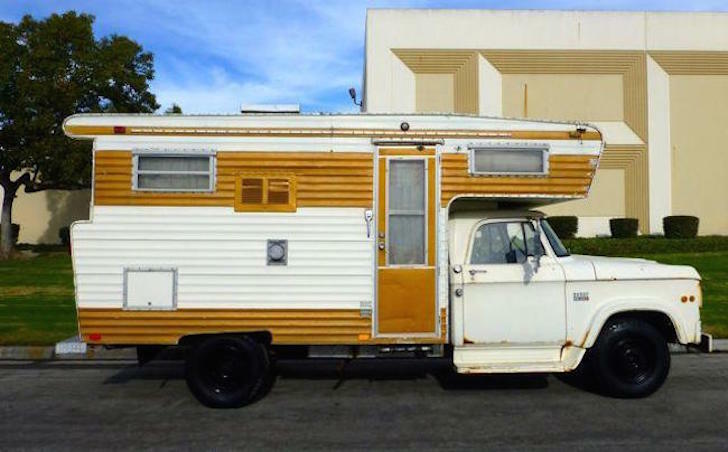 Truck campers steadily gained popularity in the 1960s. Jeep even experimented with their own concept called the CJ5. 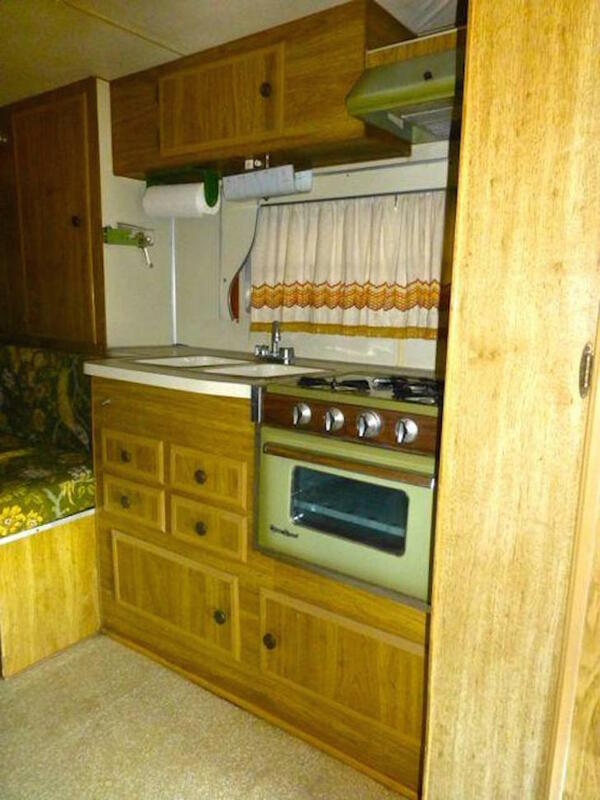 Soon manufacturers had branched out into other types of RVs, like Class Cs, Class Bs, and large diesel pushers. 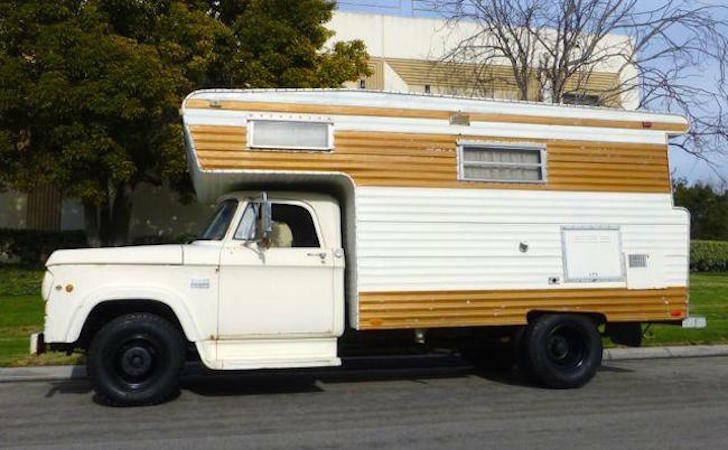 Today I want to share with you a Dodge truck camper model with a fascinating design. 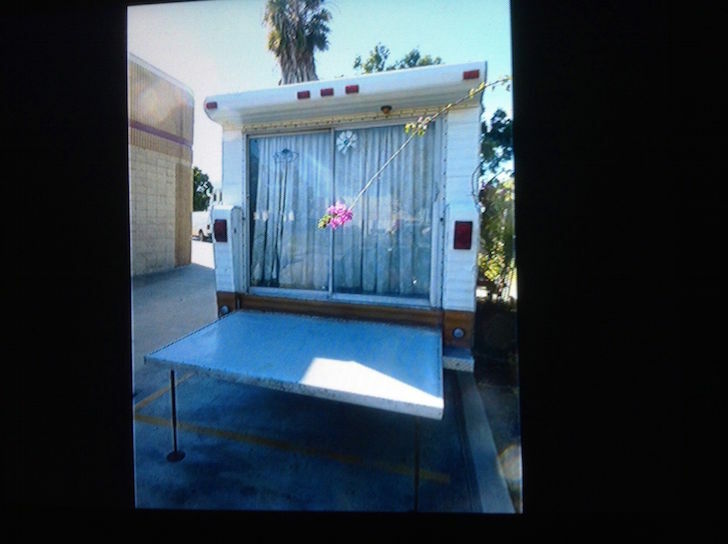 It was for sale on eBay earlier this year. Think back to the late 1960s. The United States was gearing up for its first moon landing, computers were still in their infancy and only available to researchers, and RVs weren’t nearly as ubiquitous as today. It was the era of Mad Men – and gnarly truck campers. The camper features a fantastic layout with a “walk through” cab with a double bed above, and a dinette which converts to a double bed in the rear. 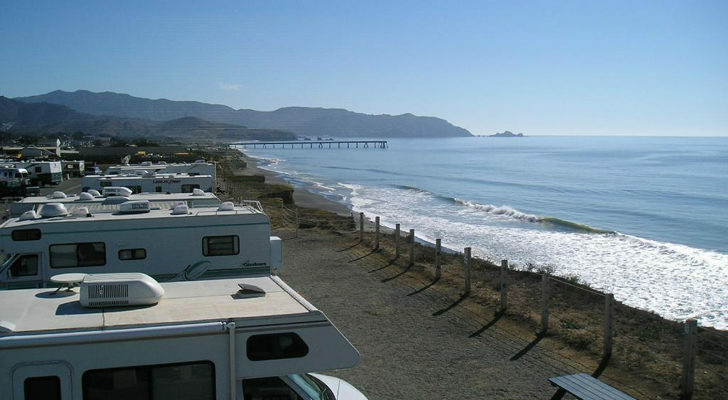 It has a fully equipped kitchen with refrigerator, stove, and double sink. 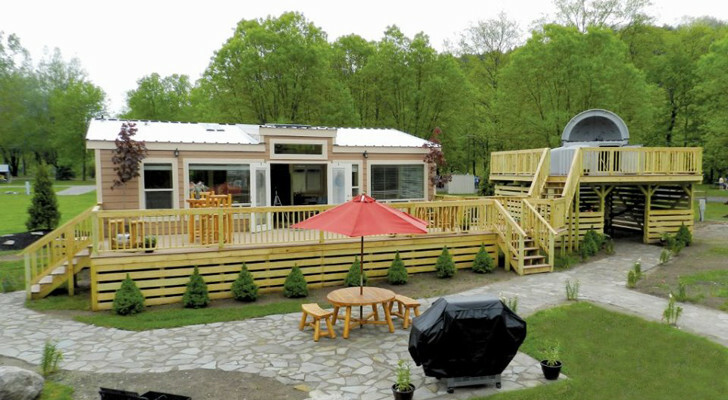 It has built-in heating, bathroom with a shower, and a large clothes closet. Plenty of storage space. You can’t see a speck of dust in this cab. 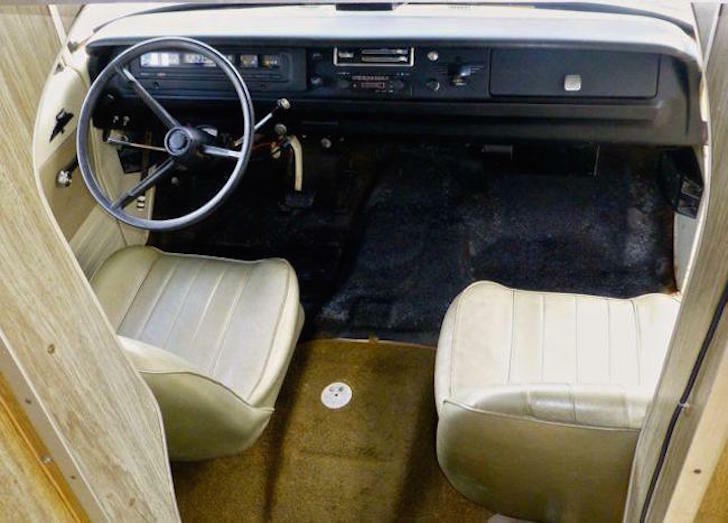 Driver’s compartment is in great shape and features a nearly perfect dashboard and wheel, original rubber floormats (protected by carpets since new), and the original gold upholstery on the front bucket seats. Still has its period radio and CB installed. 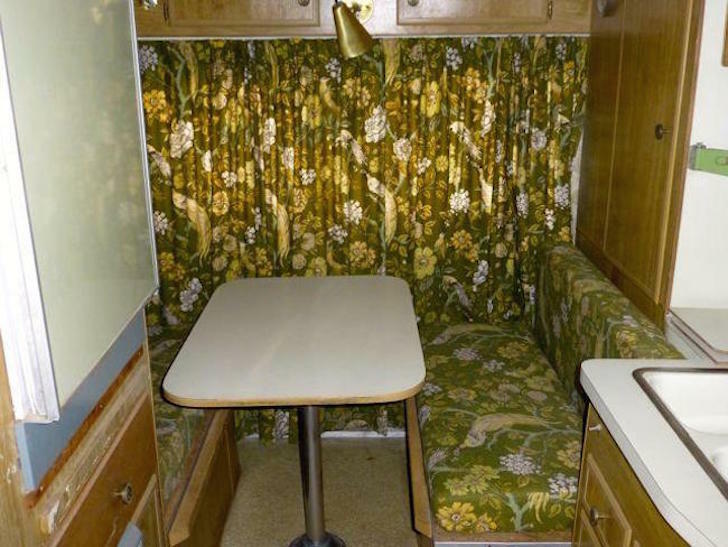 The interior looks like a Brady Bunch time-warp in all its vintage avocado green coolness! Great original “Midcentury Modern” lighting and appliances. From the outside, looks normal here. 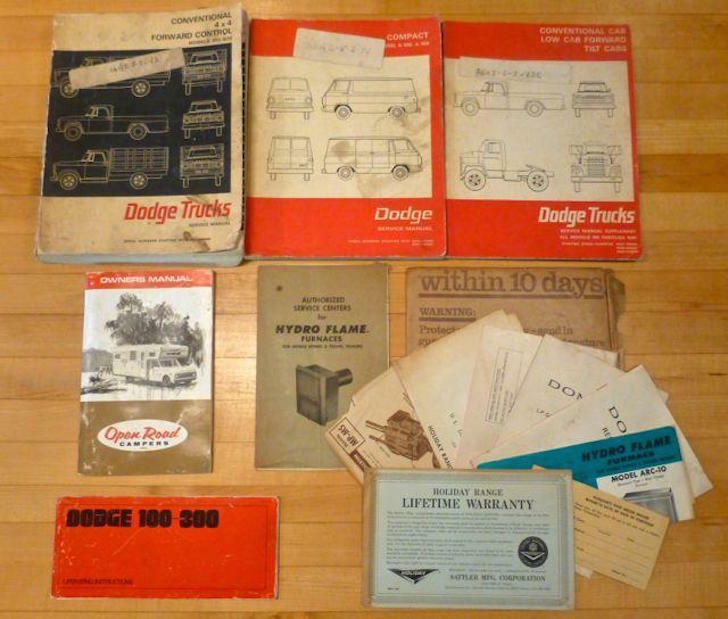 When I bought this, I was given an incredible amount of literature on the camper including multiple brochures and books (Dodge service manuals, OPEN ROAD owner’s manual, instructions for each of the appliances, etc.). I even received an original OPEN ROAD Club apron! The exterior still features its original colors, and has never been restored or modified. The finishes have weathered somewhat and there are a few small rusted areas on the corners of the doors, fenders, and leading edge of the hood. These should all be very simple fixes, and the remainder of the cab is very nice and solid (including perfect floors and rear cab corners). Underside is “dry as a bone” and is free of fluid leaks. 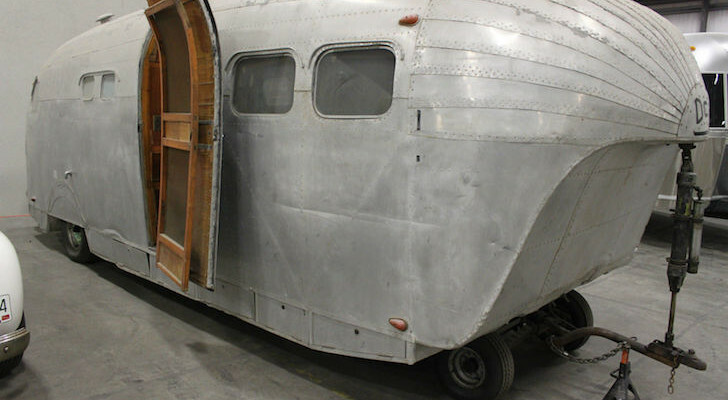 The camper portion is aluminum, which has survived very well. 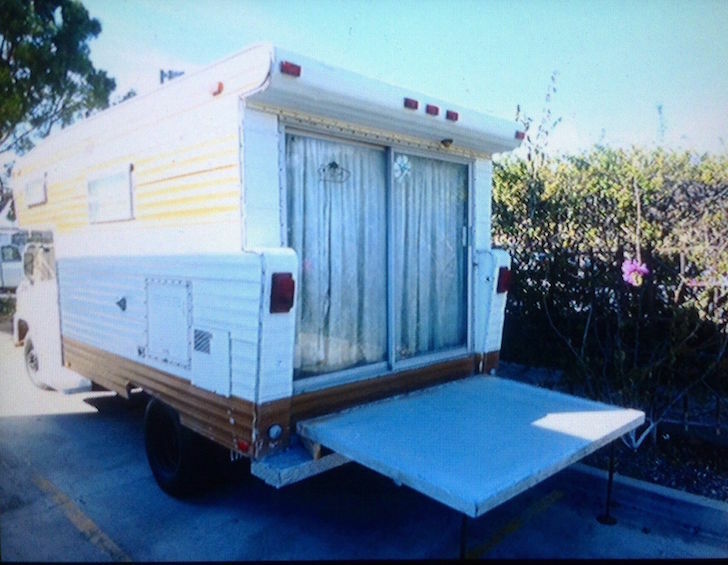 The rear hatch folds down, and makes a patio right on the back of the camper! Welcome to your portable patio lounge. Included in the sale is the original owner’s manual. And a bunch more 40-year-old paperwork. The camper has been in storage unused for few years, but runs strong, drives, and stops. It will certainly need a full service before it will be ready to drive any long distances. 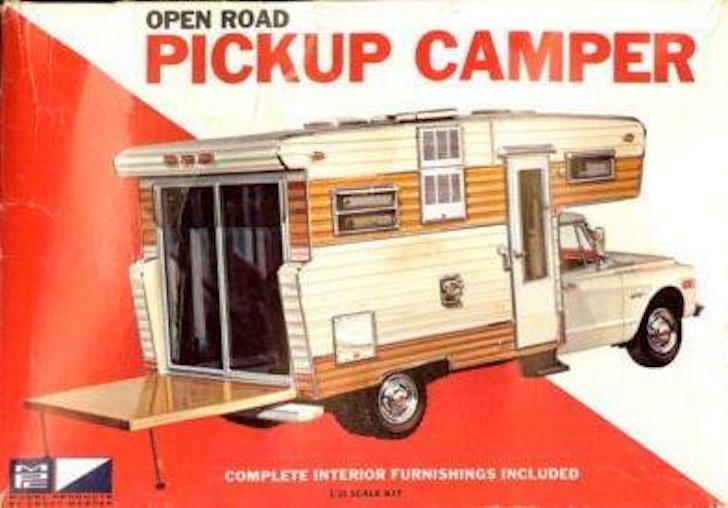 I saw these “porch model” OPEN ROAD campers back when I was a kid and was very intrigued by the design. I thought that one day I’d own one myself. I finally succeeded in owning one after all these years, but now must reluctantly let go due to space limitations (just lost my indoor storage). My dream for this was to use this to take to the vintage races at El Mirage, Willow Springs, & Laguna Seca watching the races while having lunch and some adult beverages while hanging out with friends on the rear porch. 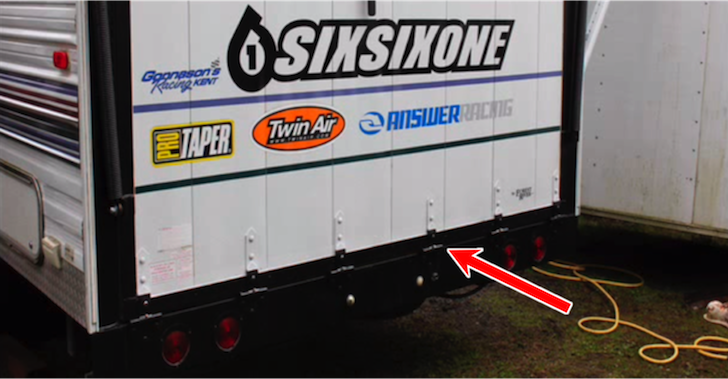 It would also make quite a statement trailering a vintage racer into the pits at any event, and make everybody else jealous with their modern cookie cutter RV’s (check out the photos of the famous “Mongoose & Snake” transporters for inspiration). 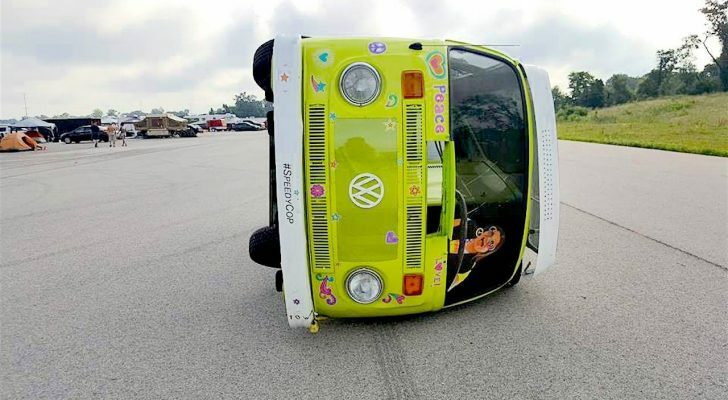 Nothing would attract attention like this rig…. Any idea where I could get tires for this monster? I can’t seem to find anyplace that lists it. 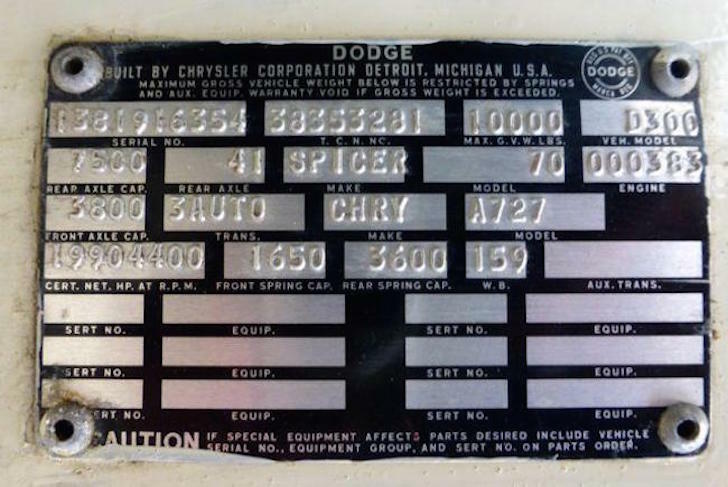 Thanks for your comment Duane, we haven’t come across a Class A Dodge yet, maybe yours is the last one!? 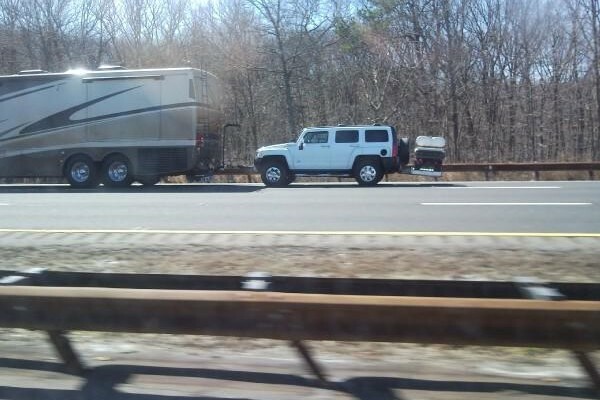 That’s an awesome camper! Probably the last one. 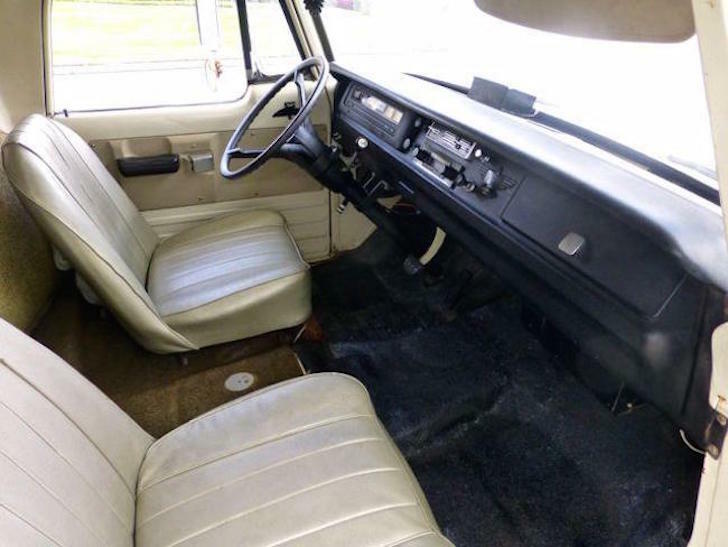 I have a 69 dodge open road class A that I have never seen a similar model either?